Topgolf will have a new landlord when it opens its $25 million golf and entertainment facility in Henrico County as planned later this year. The Dallas, Texas-based driving range chain last month sold its 14-acre site at 2308 Westwood Ave. to Stonemont Financial Group, a real estate investment firm that specializes in, among things, sale-leaseback deals. Atlanta-based Stonemont paid $5.7 million for the site, the same $407,000-per-acre amount Topgolf paid for it in September. As part of the sale, county records state that a lease has been struck between the two parties, by which Topgolf will lease the property for 20 years, followed by four five-year renewals. The two sides have struck at least one similar deal on a Topgolf facility in Minnesota, according to news reports there. Stonemont purchased the land while the venue was under construction and then promptly sold it to a REIT for $37 million once the Topgolf facility was completed. 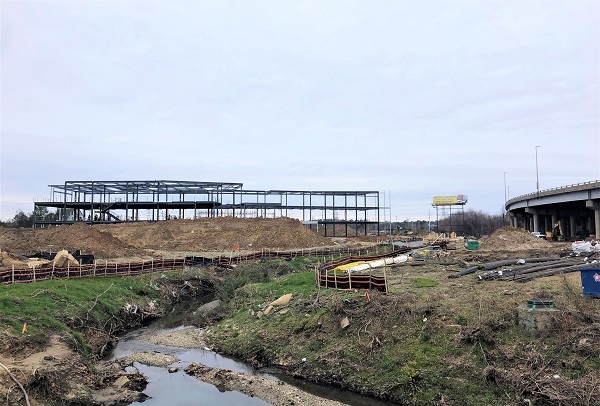 Topgolf is well underway on construction of its three-story, 48,000-square-foot facility that’s set to open in the fall. Chicago-based general contractor Arco/Murray is leading construction on the project. A Topgolf spokesperson would not comment about the Stonemont deal when reached Friday.